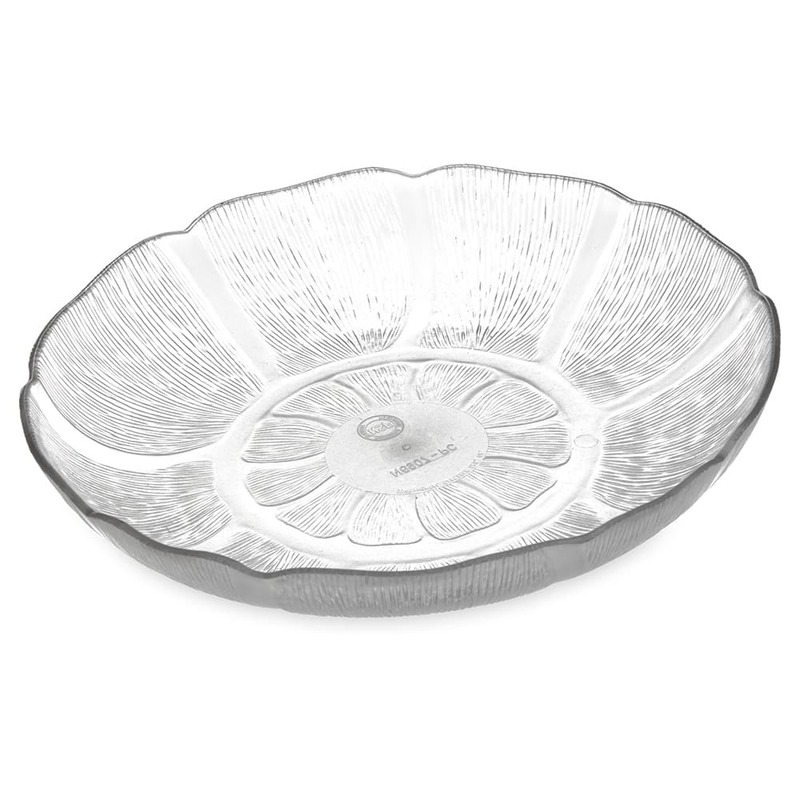 The Carlisle 690707 Petal Mist® salad plate holds as much as 23.9 ounces of salad, fruit, and more. 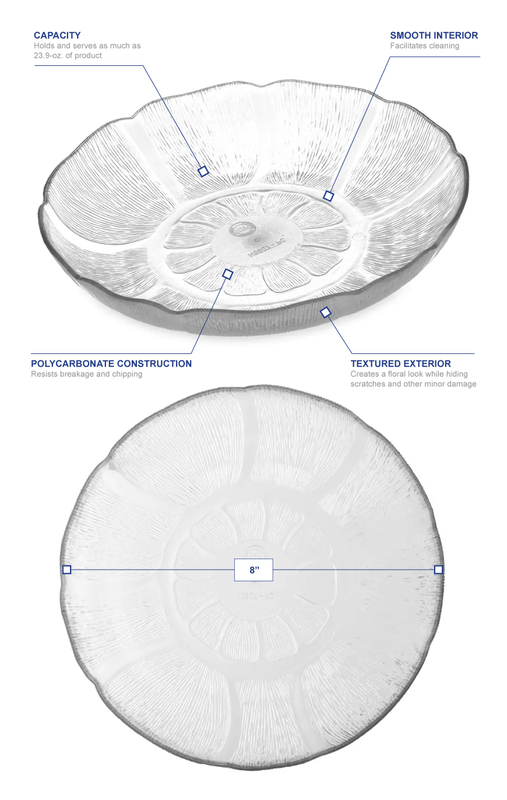 Its exterior is textured to create a floral look while also hiding minor scratches. The interior is smooth and easy to clean. Made of polycarbonate, the dish is tough and resists breaking and chipping. 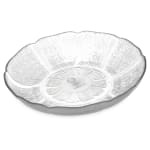 The Carlisle 690707 Petal Mist salad plate can be used in temperatures from -40 to 212 degrees Fahrenheit. "We use these as salad plates at an American Legion."